Krishna Engineering Works is a company engaged in Manufacturing, Exporting & Supplying of Textile Machinery Spare Parts. In the Textile Machinery, we manufacture, export & supply Stenter Machine, Chain Link Bottom Parts, Jigger Machine, Cloth Guider, Folding Machine, Rotary Printing Machine Parts, Bowl Mangle & Drying Range, Gear Set, Spinning & Weaving Machine, Rubber Rolls, and Rubber Fillet from Ahmedabad, Gujarat, India. We have been successfully manufacturing, exporting & supplying all types of above Textile machinery since last 25 years from Ahmedabad, Gujarat, India. We are winner of 3 times National Award and 2 times International Award for Quality manufacturing. We are ISO 9001:2008 Ceritified Company. Continuous interaction with our customers & personal good relations with them is our work policy. 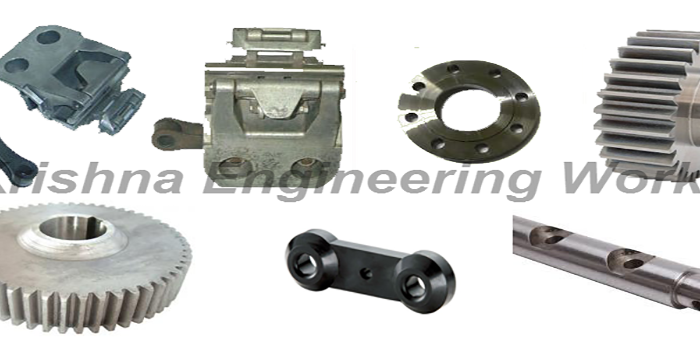 Also, we are manufacturer of Air Shaft, Safety Chuck and Textile Machinery Spare Parts.